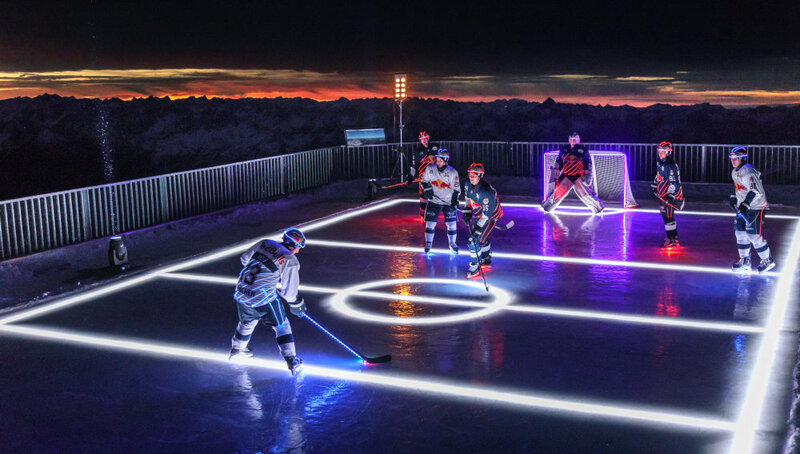 Ice hockey champions EHC Red Bull München played on the Zugspitze in novel LED outfits supplied by OSRAM. LEDs integrated in the players’ outfits to improve the visibility of the protective equipment and clothing. A world first. Two teams from German ice hockey champion EHC Red Bull München played against each other on a specially created rink. 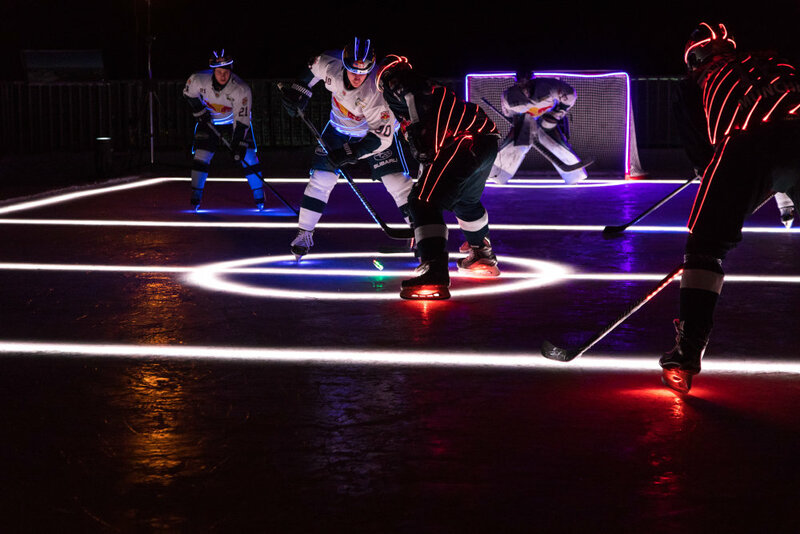 It was bathed in perfect light by OSRAM, the official lighting ​partner of EHC Red Bull München – with floodlights and LED strips in the ice. The event was the cool high point of the 110th brand anniversary and also included a premiere. LEDs integrated in the players’ outfits replaced the usual reflectors, significantly improving the visibility of the protective equipment and clothing. A world first. 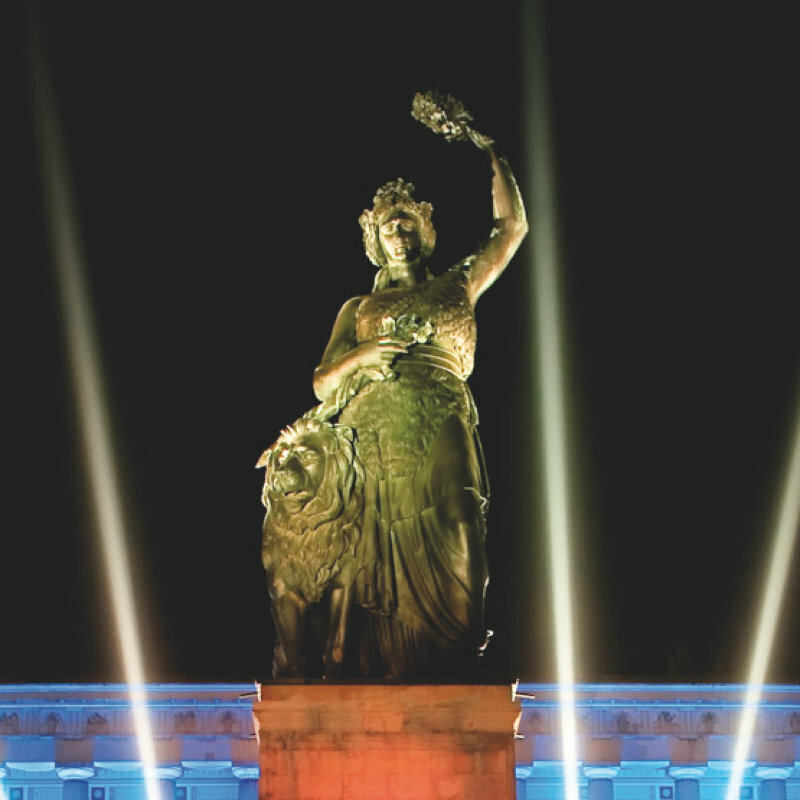 As with the previous two impressive installations of the 110th brand anniversary – the celebratory video projection on the German Patent Office in Berlin and the facade lighting for the Westin Excelsior hotel in Rome – OSRAM showed how it has been setting new standards in lighting technology for many decades. 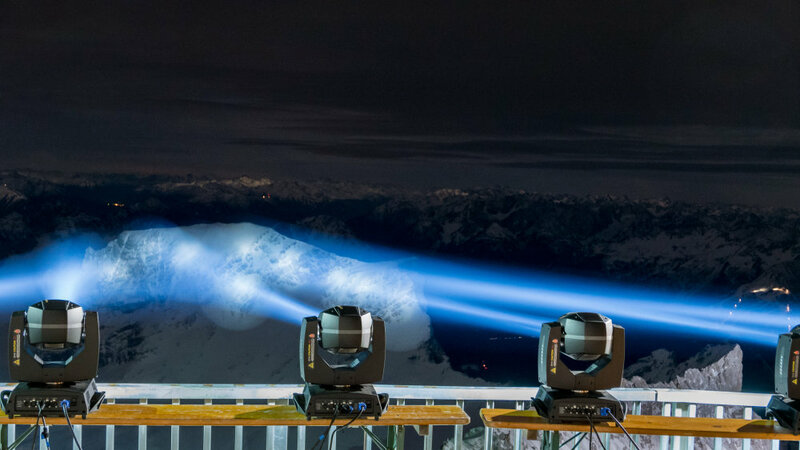 OSRAM is renowned for its peak performance – for this event at the Zugspitze it was on the 2962 meter high peak. Cool high point - spectacular event at the top of the Zugspitze. The game was a spectacle. What’s more, the players’ kits and helmets provided a special light show because they were equipped with a world first. Small stripes, fitted with LED, were lit by micro eletronics. The components were as small as a coin. Sewn into the fabric or attached to the helmets, they were hardly visible when not in operation and did not inconvenience the players in the slightest. „Textile illumination" is the working title of the project. This project by the Specialty Lighting (SP) business unit could be launched late in 2017, greatly improving the visibility and perception of safety and sports clothing compared with passive elements such as reflectors and signal colors. The event on the Zugspitze was an opportunity to test the equipment in chilly frostiness and in a physically tough game under extreme conditions. 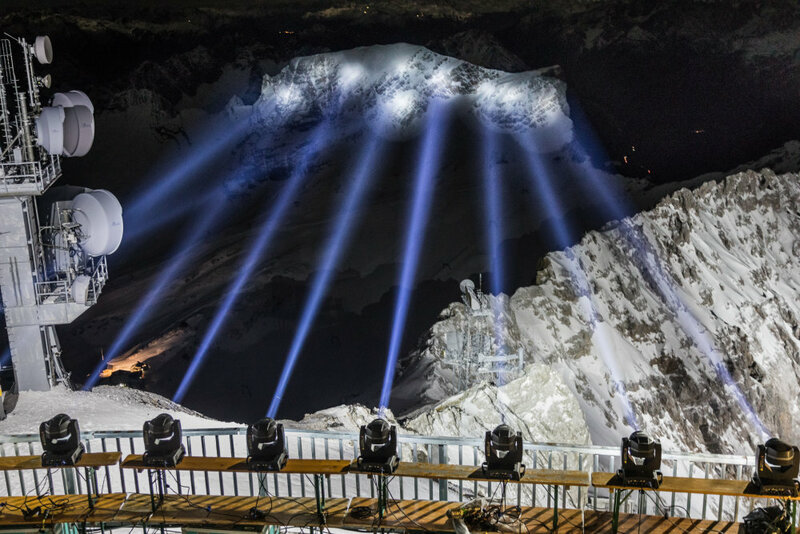 OSRAM crowned the celebrations commemorating the 110th brand anniversary with a spectacular event at the top of the Zugspitze, attended by some of Germany's best ice hockey players. 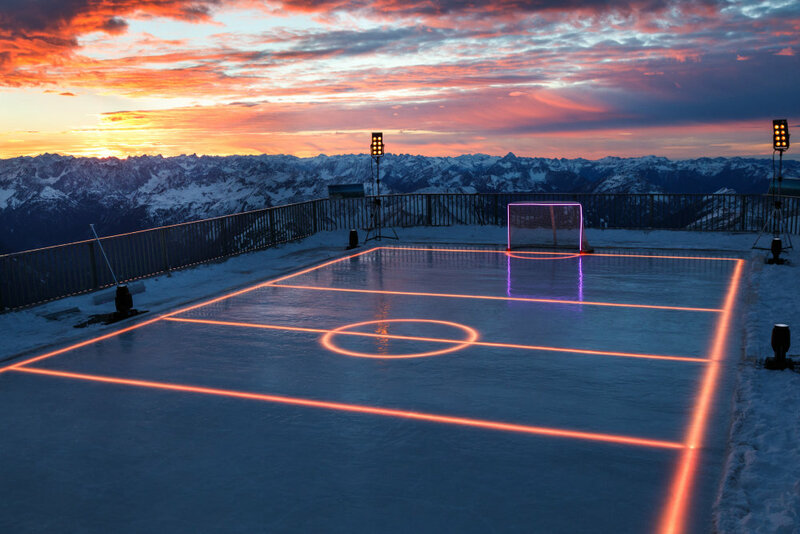 Eight members of Germany's championship winning team, EHC Red Bull München, played an evening ice-hockey game against a stunning alpine backdrop, with the help of high-tech lighting provided by Osram. 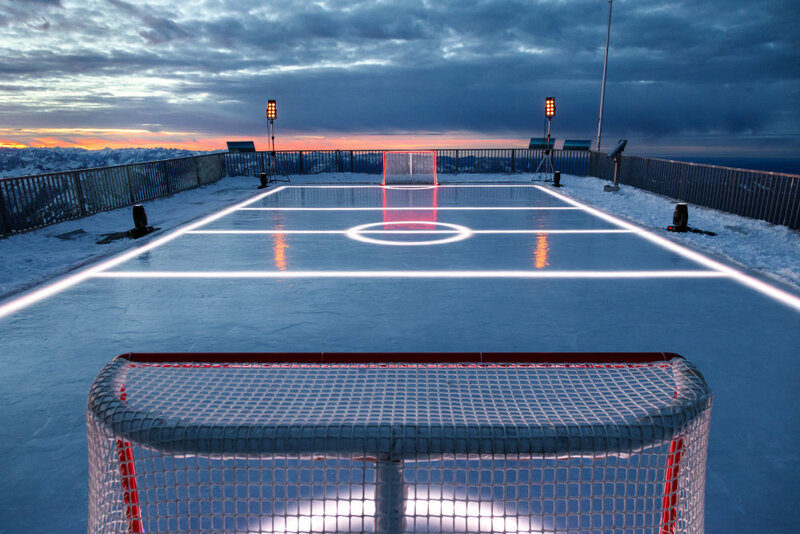 The rink and its surrounding area were illuminated by floodlights and effect lighting from Osram, turning the event into an impressive peak-top spectacle. 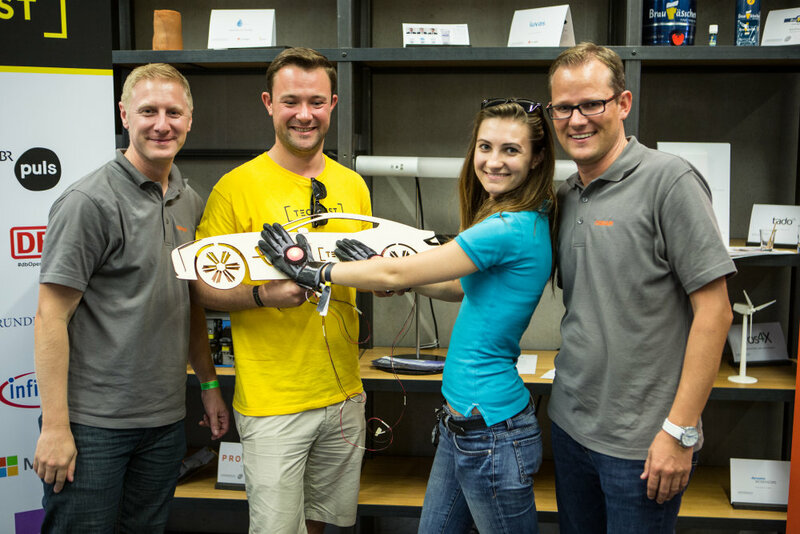 At the TECHFEST OSRAM challenged the creatives to produce something special. In keeping with the slogan “Light is Fashion”, participants were asked to create the fashion of the future using smartphones, light and clothing. LEDs, LED strip lights, development kits, electronic components, light guides, sensors, and so on were made available to the participants for the purposes of experimentation. 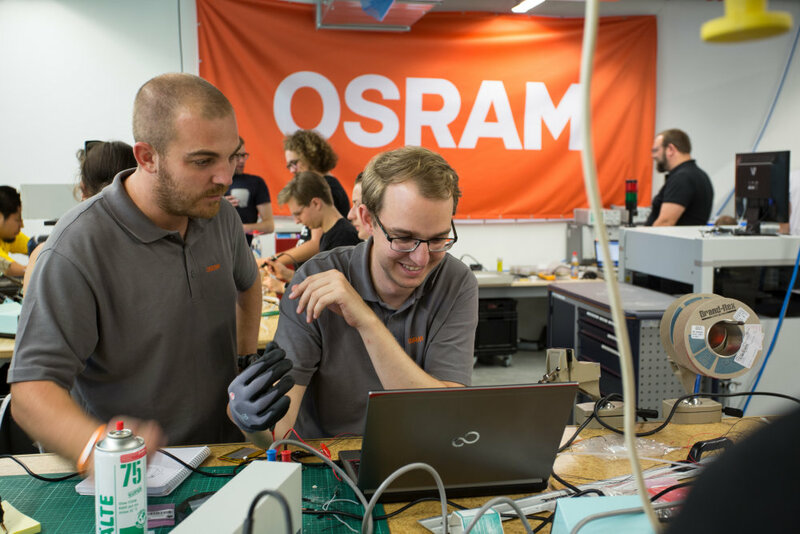 A total of 22 teams opted for the OSRAM challenge. Many of them worked on applications that focused on greater personal safety or greater safety on the road. 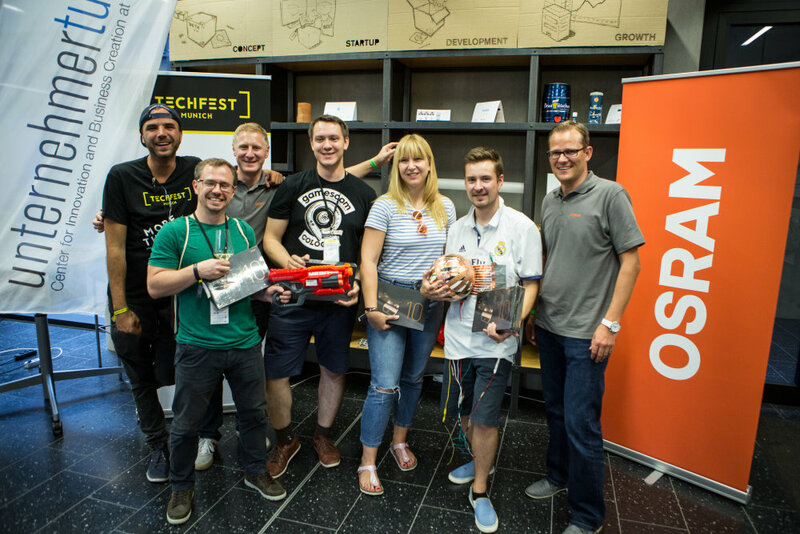 After three intense challenge days a team who opted for the OSRAM challenge, not only presented a pioneering lighting solution for sport clothings but also gained first place in the fiercely contested competition. 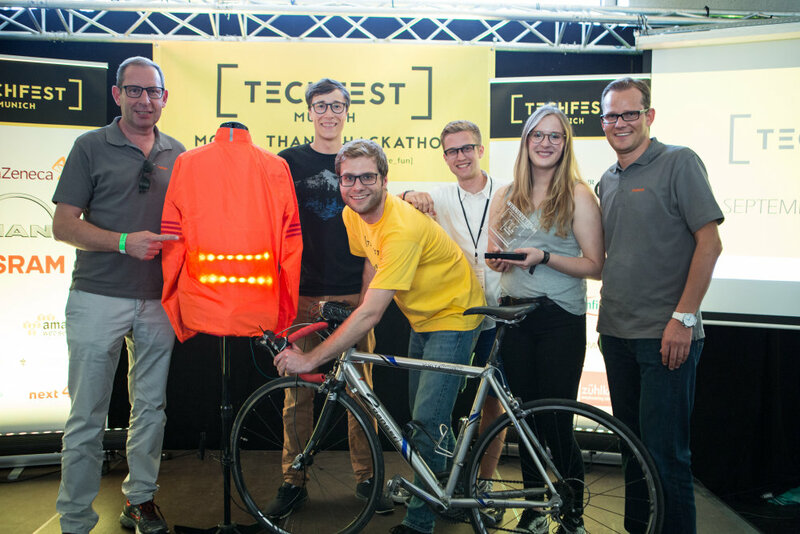 Half fun, half serious prototype for protective clothing: the illuminated "Lederhosen"
To the Oktoberfest in 2016 OSRAM built the prototype of a "Lederhosen" with integrated LEDs. The lit leather pants had a microphone to catch the rhythm of the music in the beer tents. A Reporter was on the move an evening with the Lederhosen at the Oktoberfest. The poeple were excited. Most frequent question: "Where can I buy it?"